With lot of beautiful images of nature. It’s a bit like watching a documentary on “National Geographics”. Strong acting performance, realistic images. The survival of men in a desolate place, fighting against the cold and hunger. And the worst of it all, a herd of wolves guarding their territory. 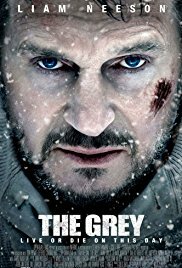 “The Grey” is surprisingly a good movie eventually.